If you missed #29 click here. Best Moment: Just Quest Mode, I get so addicted to playing that! I'm not going to lie, I'm probably rating this game to highly. 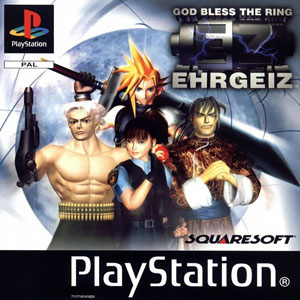 Thing is, Ehrgeiz isn't the best fighting game. But... there's two things that make me love this game. 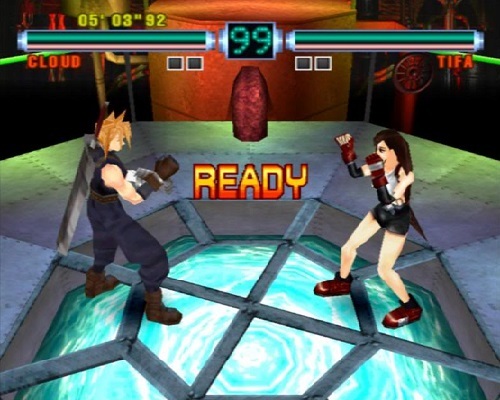 The first, of course, is the fact that there's many Final Fantasy VII characters in the game. But the second thing is Quest Mode. Quest Mode is basically a dungeon crawler RPG game with randomly generated levels. On Normal mode you can escape the dungeon and regroup, before tackling it again and again, where as on Hard mode you're not able to escape and have to take on the 20 levels in one go. It's highly addictive but it's also really hard. This Quest Mode is the main reason why I play Ehrgeiz. As for the main game, it's an okay fighter. The characters, aside from the Final Fantasy ones, are quite bland, and their movesets aren't that great. It just doesn't feel that groundbreaking at all. At least it helped form the base for future Final Fantasy fighting games in the Dissidia series. To find out what's in at #27 click here!